I need sponsors to advance arguments for prison reform. 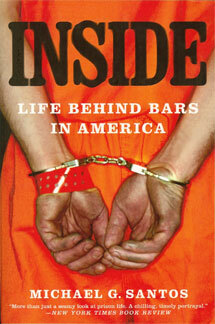 As a long-term federal prisoner, I am in a unique position to serve as a voice from inside prison boundaries. The reason my background qualifies me as an outstanding candidate to speak on the need for prison reform is that while serving my entire adult life in federal prison, I have worked continuously to reconcile with society and prepare for a law abiding life upon release. I know the challenges of sustaining focus through multiple decades of imprisonment, and I know the prison reforms necessary to encourage other prisoners to work toward these same prison adjustments. The concept of prison reform may sound unpopular, though statistics show that the subject of prison reform ought to concern every American. According to the Pew Report, prison expenditures have taken funds away from education, health care, and other social services. At a cost to taxpayers of $59 billion each year, prison expenditures represent one of the reasons that 10,000 potential university students at California State University could not receive funding for tuition. Similarly, prison expenditures represent a reason fewer Americans qualify for health care services. Americans waste too much money incarcerating too many people for sentences that are too long. I am not alone in making this assessment, as Justice Anthony Kennedy of the U.S. Supreme Court made the same observation in his 2003 speech to the American Bar Assocation for prison reform. I am in a unique position to advance the call for prison reform, however, as I can help Americans understand the absurdity of the system. In 1995, after I had served eight years in prison for a nonviolent conviction that brought me into confinement for the first time, I stood ready for release. I was 31 then. I had earned an undergraduate degree from Mercer University and a graduate degree from Hofstra University. Americans had already spent more than $200,000 on my imprisonment, and I stood ready to repay that expenditure as a law-abiding, taxpaying citizen. Instead of release, however, this ridiculous system required hundreds of thousands more in expenditures to incarcerate me for decades longer. Those expenses caused people to lose educational funding, health care coverage, and funding for other social services. The system has grown out of control with expenditures, incarcerating too many people for too long.